“Synced,” or synchronized video, links an electronic transcript to video so that the text appears on the screen at the same time the witness’s video testimony is playing. 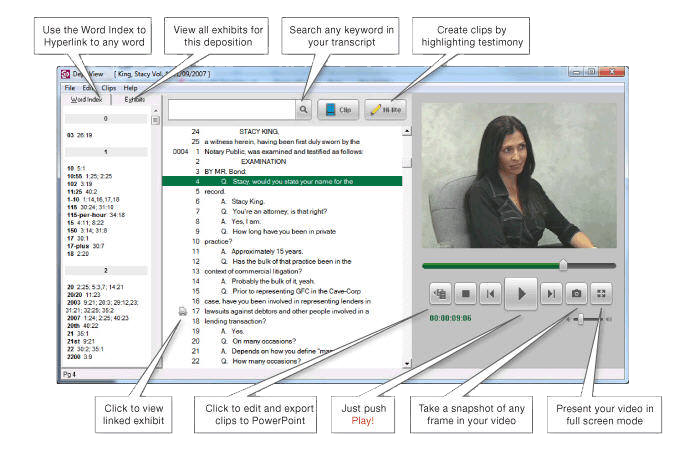 This allows the jury to view the video deposition and scrolling transcript simultaneously on the same screen. 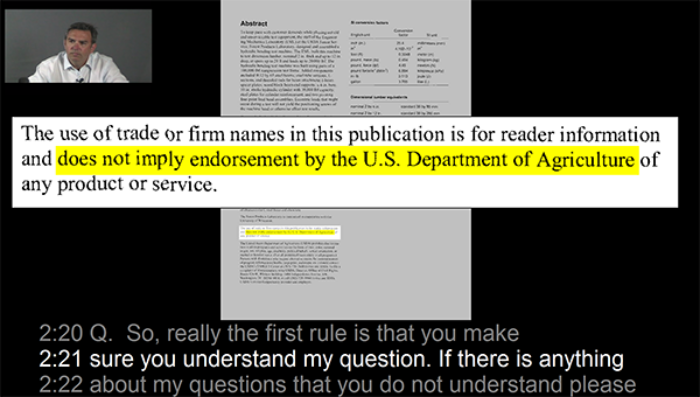 Similar to closed-captioned television, the transcript scrolls at the same speed that the deponent testifies.